Urban Fantasy | Brian Jane's Blog. 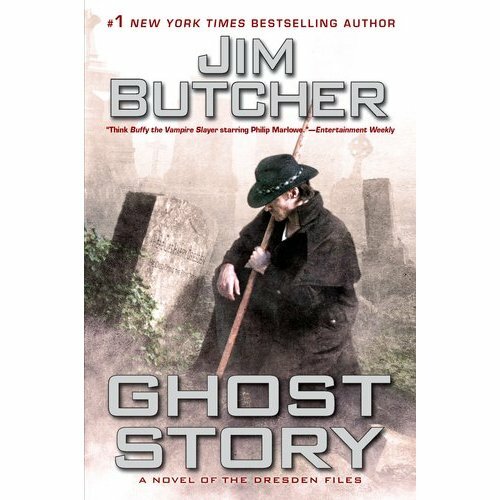 Ghost Story is the thirteenth installment of Jim Butcher’s Harry Dresden novels. I read somewhere that Butcher wanted to call the novel Dead but this was flatly rejected by the publishers. The title itself leaves absolutely no room for question. Implicit in the title is the spoiler: harry Dresden is, as of the twelfth novel, Changes, dead. That’s right: some jerk–some lousy irredeemably stupid schmuck–killed the hero of the series. It’s Harry’s job to figure out whodunnit.